Journalist Aditya Chakrabortty has been covering the “post industrial” depressed areas of Britain for The Guardian. These are the people who once had good jobs in factories and mines, who have been forgotten and neglected by governments in Britain, the rest of Europe and the U.S. They became invisible. Now, after Trump and Brexit, perhaps we are waking up. Perhaps we are beginning to see them. Here are parts of Chakrabortty’s vivid description of a once-wealthy Wales town. If Brexit and Trump act to truncate globalization, it will be because we forgot those who lost because of it, and celebrated only those who gained. Post industrial? “Post” implies something came after ‘industrial’. But what? Poverty? Hardship? “The story of Pontypool is a story of riches squandered, of dynamism blocked, of an entire community slung on the slagheap. Sat atop vast deposits of iron ore and coal, it was probably the first industrial town in Wales. For a time, under Victoria, it was richer than Cardiff. Even now, to look along its skyline is to see traces of wealth: the park with its Italian gardens and bandstand; the covered market with its olde price list for snipes or a brace of pheasants; the 25 listed buildings that make this one of the most sumptuous small town centres in Britain. “Then look down. On a typical weekday, the indoor market is a desert. Those bits of the high street that aren’t to let are betting parlours, vaping dens and charity shops: the standard parade for hollowed-out towns across Britain. The reason isn’t hard to fathom: the mines shut down decades back; the factories have pretty much disappeared. Those big employers still left aren’t big employers any more. One of the staff at BAE tells me that when he joined in 1982, it had 2,500 workers on its shopfloor; now, he reckons, it has 120. “Swaths of Pontypool and the surrounding region of Torfaen now rank among the poorest in all Britain. 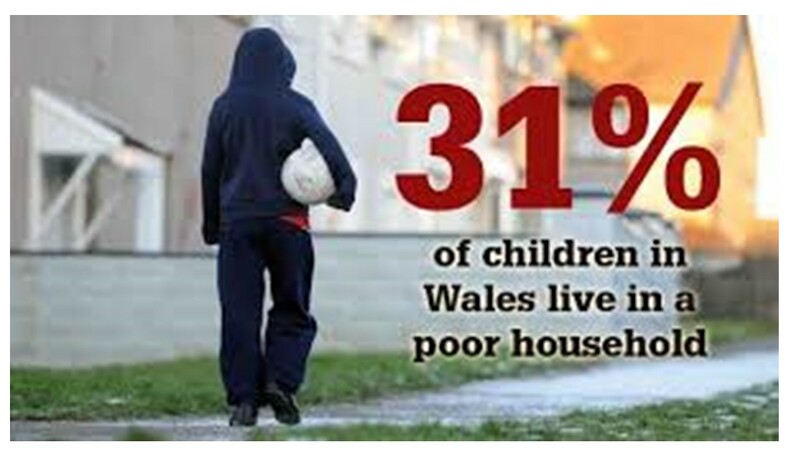 On part of one of its housing estates in Trevethin, 75% of all children under four are raised in poverty. Over half – 53% – of all households who live on that stretch are below the poverty line. With that come all the usual problems: families that can’t pay the rent, that are more likely to fall prey to a whole range of sicknesses, from mental health to cancer. Those people can expect to die 20 years before their near-neighbours in some of the better-off areas in Pontypool. First the economy died out, now its people are too. 2007: Did We Miss It? New York Times columnist Tom Friedman thinks something interesting and important happened, in 2007 – while we weren’t looking. Why weren’t we looking? Because we were preoccupied with the global economic and financial crisis. And we missed a “strategic inflection point” (a key turning point in history). This is the subject of his forthcoming book, in the works for the past 3 years. What did we miss in 2007? The first iPhone that began the smartphone revolution; Facebook opened itself to anyone; Twitter took off in 2007; Hadoop helped enable Big Data and cloud computing. Kindle began the e-book revolution. Google introduced Android. IBM started Watson – the cognitive computer that is great at medical diagnoses. Genome sequencing? Once it cost $100 m. to decipher a genome; that cost fall drastically, starting in 2007. Solar panel costs decline sharply in 2007; Airbnb was conceived in 2007; Intel introduced non-silicon materials in its microprocessors; and the Internet cross the 1 billion user mark. * the power of one – what one individual or small group can do to make or break things is phenomenal. (See Trump’s tweets to 28 million followers). * the power of machines – machines are starting to become truly creative, [making things] that are indistinguishable from the work of humans. These three changes are like a hurricane in which we’re all being asked to dance. You can dance in a hurricane, Friedman notes – but only if you’re in the eye. Trump and Brexiters want to build a wall against the change. Won’t work. “I think the challenge is to find the ‘eye’ “, Friedman argues. How will you adapt to these three key changes? And, can you find the ‘eye’ and the ‘I’? World Economy: Loop the Loop! From time to time, I answer a questionnaire distributed by a German research institute, called Ifo World Economic Survey. 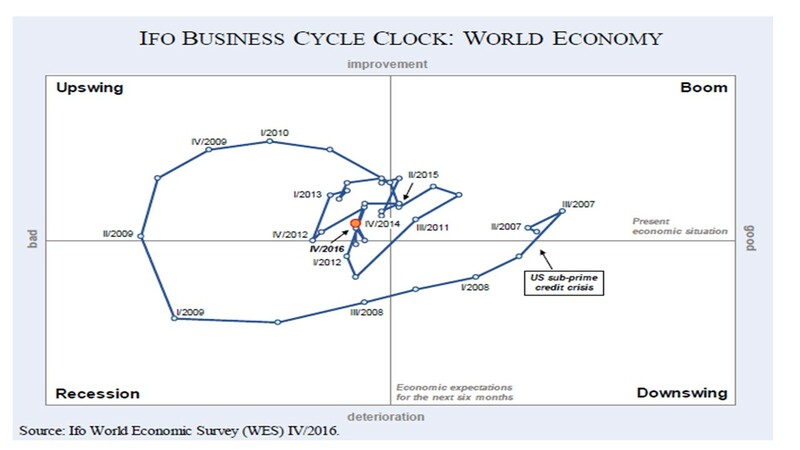 Based on that survey, Ifo publishes a “business cycle clock” for the global economy. The latest one is shown above. To explain: the X axis is the current situation: good or bad; the Y axis is the change, improving or deteriorating. The ‘clock’ starts in 2007, just before the 2008 subprime mortgage crisis that began in the US and spread around the world. What we see is this: First, a huge ‘loop the loop’ cycle, stretching from 2007/8 to 2011, with a very deep recession. Then, two smaller loops, 2012-13 and 2014-15 cycling around ‘no change’ and ‘average situation’. The cause? Weak Chinese growth, and very weak EU growth. Once the global economy had a powerful locomotive tugging it upward. First, the locomotive was the US economy, whose appetite for goods created enormous demand and pulled the Asian economies into high growth. Then, the locomotive was China’s economy, whose rapid growth spread to surrounding countries, as China imported components. Today? The global freight train has no locomotive. Not the US, not EU, not China. Until a locomotive emerges, and one may not, the world economy will continue to do these small ‘loop the loops’, like a stunt plane, around the average. Have you strategized this rather gloomy forecast? 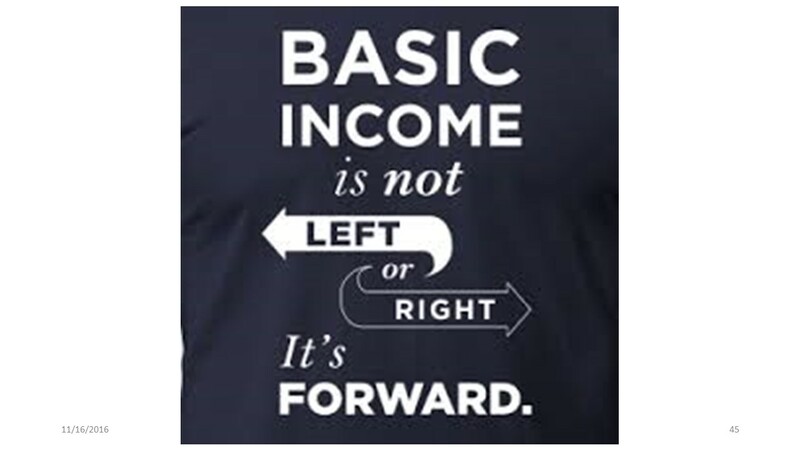 Basic Income Guarantee: It’s Coming! President-elect Trump promised many things in his election campaign. One of his promises was to restore the lost jobs of steelmakers in Pennsylvania and coal miners in West Virginia. Many doubt that this can be done. U.S. workers are more costly, and less productive, than those in other countries, in steel and in mining. If Trump protects them with high tariffs, other countries will retaliate, and everyone will lose as trade declines. America, Europe and virtually all nations have to face a hard fact. Many jobs are being destroyed, not by trade, but by technology. Robots will be able to do half of all existing jobs in a decade or two, according to research by Oxford University experts. What then do we do about it? Switzerland and Finland have already held referendums on paying a cash grant to all citizens, as a kind of living wage. If the economy cannot provide jobs for people, then it must give them enough income to live on. There is no choice. Writing in the New York Times, Nov. 14 (“Handouts with a twist”), leading behavioral economist Robert H. Frank offers a concise analysis. Historically, social welfare legislation arose only when countries landed in deep hot water. For example, American social security was signed into law by President Franklin Roosevelt in 1935, at the depths of the Great Depression, with millions jobless and suffering. Unemployment insurance in the United States originated in Wisconsin in 1932 and quickly spread to state governments, for the same reason (unemployment at its worst was 25% in the U.S.). People were starving. Will it take a similar crisis to countries to enact the cash grant plan? 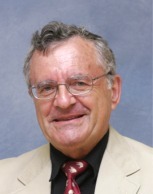 Frank recalls that right-wing (Republican) economist Milton Friedman, a Nobel laureate in 1976, advocated a negative income tax, basically an income guarantee. 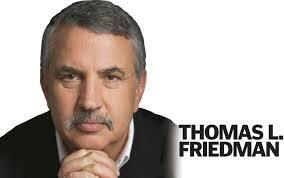 Friedman advocated a grant of $25,000 for a family of four, just above the poverty line. Frank proposes just such a grant, combined with “subminimum wages for performing useful public sector tasks”. This is simply an adequate social safety net. The U.S., and many countries, lack one at present. The result is immense suffering, especially for children of poor families. This is directly responsible for Trump’s election. But Frank is very practical. “Policies we adopt must be palatable to voters in the middle – the people who make significant sacrifices to earn the incomes we tax, to pay for social welfare programs.” These voters would react angrily at the polls to efforts to pay money to able-bodied people who do not work. These are Trump voters. Frank thinks such cash grants, if they are small enough and combined with public service, could pass. The question is, will they be implemented before a deep crisis, or during and after? At a Swiss-Israel Innovation Workshop I spoke at recently, in Lucerne, a speaker casually mentioned that the next world-changing technology will certainly be something called “blockchain”. In the blockchain, information is stored in blocks that record all transactions ever done through the network. Hence, it allows validating both the existence of assets to be traded and ownership. To avoid double spending, the technology requests several nodes to agree on a transaction to process it. A validation is also artificially difficult to achieve: miners leverage computer power to solve complex cryptographic problems (the proof-of-work). Every time a problem is cracked, a block is added to the chain, and all the transactions it includes are thus validated. The updated chain, including the new block, is shared with other nodes and becomes the new reference; this process leverages cryptography to prevent duplicate transactions. 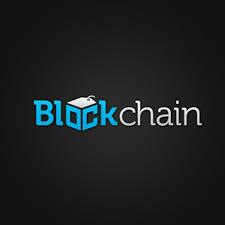 Blockchain is a disruptive technology – that is, a game-changing technology that undercuts huge established existing players (stock exchanges, banks, etc.) and instead enables smaller players and startups to compete, by creating value for customers. 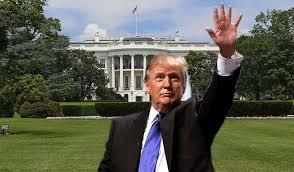 Donald Trump will be the 45th president of the United States. 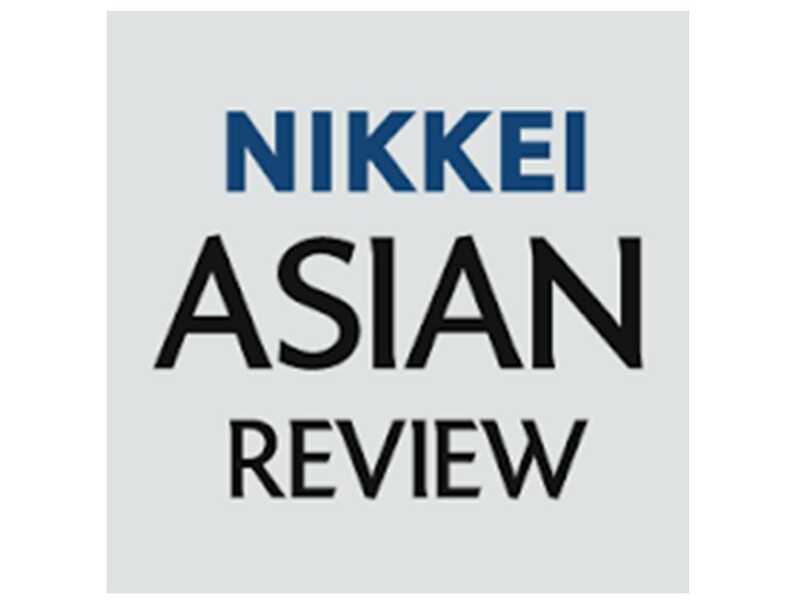 Whatever they may say in public, few East Asian governments will greet the news with much enthusiasm — and all will harbour a degree of unease. Only the North Korean leader Kim Jong Un and Cambodian Prime Minister Hun Sen made their preference for him known. But they are hardly typical and the latter, for once, did not follow China’s lead. Beijing is usually scrupulous about avoiding comment on the domestic politics of other countries, but still felt it necessary to publicly criticize Trump’s stance on climate change. A South China Morning Post poll published on Nov. 5 showed that 61% of Chinese preferred Trump’s Democrat rival Hillary Clinton, higher than her final share of the U.S. popular vote. Only 39% of the Chinese preferred Trump, lower than his share of the U.S. popular vote. A study by the U.S. journal Foreign Policy of Chinese elite attitudes, published on Nov. 7, concluded that while they viewed Clinton as unfriendly, most felt that Trump would be a disaster for the U.S. and hence for global stability. China’s leaders may not admit it, but they know that the U.S. is vital for the maintenance of regional stability. Beijing values stability above everything else, particularly with the Chinese Communist Party’s crucial 19th congress only a year away and internal labour and social unrest endemic. President Xi Jinping’s anti-corruption campaign has generated a great sense of insecurity among cadres across all sectors of the state. In October, about 1,000 military veterans in uniform protested outside the ministry of defense in Beijing. It is impossible for such a large and conspicuous group to have gathered near such a sensitive area without at least the tacit connivance of some senior cadres. Like most of East Asia, China hates surprises. Clinton was a known quantity and would have stood for continuity in American policy toward the region. But East Asia is also pragmatic, not wont to just wring its hands in despair over new realities. Governments of the region will work with whoever is in power in the U.S.
Donald Trump’s upset election win offers six lessons for marketers looking to beat the odds and overcome powerful competitors, says John A. Quelch. Here they are, in case you wondered. Give consumers a job. The best marketing campaigns always call on consumers to do something. For example, United invites you to “Fly The Friendly Skies.” Nike insists that you “Just Do It.” The most successful brands also allow their consumers to co-create brand meaning. “Let’s Make America Great Again” is an inclusive call to arms with a powerful goal that each voter can interpret for himself. It embraces passion and purpose. Clinton’s “Stronger Together” is also inclusive but it evokes process, not that process isn’t important, but the desired outcome is much less clear. Good marketers know that, if you don’t position your brand clearly, your competitors will do it for you. Show the past as prologue. Offering consumers the adventure of voting for an uncertain future never works with the majority, especially if your brand is new to the game. Trump, the political neophyte, won by recalling a better yesterday and promising to recreate it as the better tomorrow. The word “Again” is no accidental addition to the Make America Great slogan. Remember the famous Kellogg’s Corn Flakes campaign to recover lost consumers: “Try Us Again for the First Time.’ For millions of Americans in the rust belt, the good old days really existed and they voted to bring them back. Pursue forgotten consumers. Most financial firms chase the same high net worth prospects, ignoring or at best taking for granted millions of modestly prosperous people. Trump turned the Democrats’ commendable embrace of diversity on its head to invoke the “Forgotten Man,” winning over lunch-bucket Democrats overlooked by their party as well as bringing in new voters and energizing lapsed ones. At the same time, almost all Republicans came home to vote for their nominee. Good marketers always know how to balance new customer acquisition with customer retention. Sizzle beats steak. Clinton was always going to beat Trump on the steak of experience and policy knowledge. A new brand can’t afford to get lost in the policy weeds. Hence, Trump’s campaign persona and his contract with the American voter offered more sizzle. Painted in broad brush strokes, the contract emphasizes goals and outcomes, and is light on policy and implementation details. Build enthusiasm. Good marketers know the power of word-of-mouth recommendations. In the era of social media, better organization (the old ground war) and outspending on television advertising (the air war) weren’t enough for Clinton. Trump’s determination and stamina–five speeches a day–and the size of his crowds impressed ordinary voters watching on television much more than Clinton’s barrage of paid ads. The pundits questioned whether enthusiasm would convert into votes. Good marketers know that brand enthusiasm rings the cash register. It did for Trump, but not for Clinton. Close the sale. Political marketing requires you win a plurality of votes not every day but on a single day once in four years. Timing is everything. Trump learned what worked and what didn’t work as the campaign progressed. He refined his message, suppressed the ad hominem insults, and peaked at the right time, confounding the pollsters and media pundits. In every recent speech, he repeated the same messages, inviting voters to imagine the future if they bought into the promises of a Trump administration. He confidently asserted “we are going to win” this state, “we’re leading in” that state. Consumers not only want to back a winner, they want to back a brand that sees itself as a winner. And they want to back a brand that other people similar to themselves see as a winner. That’s when a brand becomes a movement. In the last week, brand Clinton promised a bright future but looked like the candidate of yesterday, a little tired and overly reliant on a supporting cast of Obamas and Bon Jovis. By contrast, Brand Trump promised a future that looks like yesterday, Everyman’s high-energy underdog and outsider, disruptive yet decisive, standing alone at the podium, mane flowing, ready to step up to Pride Rock. President Trump: Whom Will He Appoint? Time to panic? President-elect Trump. Never thought I would write those words. A great many people I know are stunned, shocked, and almost in panic. No need to panic. The White House has ways of changing the DNA of its occupants fairly quickly. * Steve Mnuchin, a former Goldman Sachs executive frequently mentioned as a possible Treasury secretary, and Wilbur Ross, a distressed asset investor. OK, the Trump administration will be pro-wealthy, even though the blue-collar guys elected him. But what did you expect? * ….conservative columnist Lawrence Kudlow, a former official in the Reagan White House who once worked as chief economist at Bear Stearns, is another senior member of the campaign team, as is Steve Moore, an economist at the conservative Heritage Foundation who helped draw up Mr Trump’s tax plans. * National security: Michael Flynn, a former head of the Defence Intelligence Agency, who has been a regular analyst on Russia Today, the Russian-backed television network, as well as Keith Kellogg, who has worked in the private sector since helping run the Coalition Provisional Authority in Baghdad after the 2003 invasion of Iraq. Among his other advisers are Walid Phares, a Middle East analyst who has come in for criticism for his ties to a Christian armed faction in Lebanon’s civil war in the 1980s. * ….attorney-general: Rudy Giuliani, the former New York City mayor who has been a vocal backer and close Trump adviser since the summer. * “ economic platform: Peter Navarro of the University of California’s Paul Merage School of Business, an economist who produced the film Death by China, a documentary featuring animated Chinese aircraft bombing the US. On second thought, after writing the above: Not reassuring. It’s time to panic. All together now… Yikes! The Dalai Lama is the 14th such Dalai Lama. And he may be the last, according to his own words. Dalai Lamas are important monks of the Gelug school, the newest school of Tibetan Buddhism. He was born on July 6, 1935 and despite his age, 81, he travels the world with his message of peace and harmony. His full name: Lhamo Dondrub, but it is rarely used. He now lives in McLeod Ganj, India, near Tibet, because Chinese authorities do not permit him to return to Tibet, from which he fled at an early age. I once heard the Dalai Lama speak in person, to 5,000 persons in Tel Aviv. His presence is spellbinding and radiates the serenity that he preaches. In the International New York Times, Nov 5-6, there is an unusual Op-Ed piece written by the Dalai Lama together with Arthur C. Brooks, president of the American Enterprise Institute, a conservative pro-free market think tank based in Washington. In it, the authors ask, if things are so good all over the world, why do people feel so bad? Good??? All over the world? “Fewer among us are poor, fewer are hungry, fewer children are dying and more men and women can read than ever before”, they note. How strange, they note, then to see anger and discontent in the world’s richest nations. So why is there such tremendous angst, dissatisfaction, unhappiness, social unrest and violence in so many parts of the world? They note research that shows that senior citizens (that old euphemism for old people) who did not feel useful to others were three times as likely to die prematurely, as those who did feel useful. Apparently, to stay alive, you need a reason, and helping others is the primary one. People are unhappy, says the Dalai Lama, because they do not have meaning in their lives. Remedy? “We should start each day by conciously asking ourselves, ‘What can I do today to appreciate the gifts that others offer me?” We need personal commitments “that we mindfully put into practice”. I love this message. I try to practice it. But I don’t accept the premise. People are unhappy, because they struggle every day to provide food, shelter and clothing for themselves and their families, and have a very very hard time doing it, including those in wealthy countries. The odds are stacked against them. The old “trickle down” fallacy has been refuted ages ago, but politicians still preach it. Wealth does not trickle down, it trickles up…to the ever-richer 1 per cent or 0.1 per cent. Arthur Brooks and the American Enterprise Institute are among those who espouse trickle down, and provide grist for the Republican Party. (“Trump will lose, but Americans will make a fatal error if they do not recognize what Trump got right”, says the AEI website. Hmmm what DID Trump get right?). 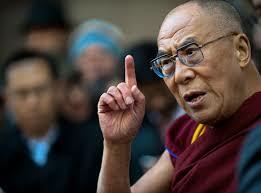 I regret that a person as wonderful as the Dalai Lama seems to have thrown in with an ideology that is so flawed. 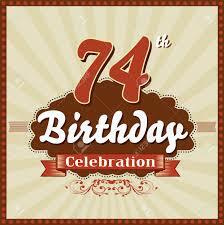 On Nov. 10 I will be 74 years old. I celebrated by doing a 74-km. (44 mile) walk during 3 days, from the Mediterranean to the Sea of Galilee, with grandchildren and sons and daughter, and Sharona, who joined for at least part of it. Here are some insights about growing old, for what they are worth. Try to do one difficult thing every day… it’s easy to pamper yourself, when you’re a senior citizen, and lots of kind people around you are willing to help. Keep in practice doing things that stretch your mental and physical abilities. That way, at least you won’t slide backward… or will do so more slowly. Resist becoming a child. Seniors are forgiven behaviors that adults are not. Resist it. It’s easy to become grumpy and spoiled like a child. Treat your body like a faithful old car. You don’t expect a 15-year-old car to run perfectly. You do good maintenance, but not all repairs are worth the pain, time and effort. Same with your body. Fix what you can, live with what you can’t… and don’t spend infinite hours running to doctors, if you can avoid it. Remain relevant. That means, make your life meaningful by helping other people whom you love. Do this daily. In little ways, or in big ways. If you do, it means that your life has meaning, and that others care. The key is to be part of a loving community, including family and friends. New beginnings – seek them. Seniors tend to be risk averse. Take some chances. Dare. What do you have to lose? Learn new skills, try new things. Try new foods. Think positive. Think happy. A happy mind definitely helps create a healthy body. It’s been proven physiologically. Find the bright side. Be an incurable optimist. Enjoy every hour, every minute, every day. Find things of beauty, find small (and big) ways to enjoy. Find interesting people, find ways to be with them. Make sure that when you wake, you have strong reasons to get out of bed. If not, well, find some. Doing what you love? Keep doing it. Never retire. Bored with what you’re doing? Find something else to do. But — keep doing! !